What Can We Learn about Writing from Flaubert’s Letters? In short? That even talented writers suffer. A lot. When we are trying to find wisdom in order to learn to write well, we usually get Stephen King’s On Writing and some other books. A less straightforward way would be to look at the notes or letters of writers. The Peruvian Nobel Laureate Mario Vargas-Llosa is a loyal follower of Gustave Flaubert, the french writer that is known as the precursor of the modern novel. Vargas-Llosa has said that after reading Flaubert’s letters he realized that with work, insistence and perseverance one can make up for the lack of talent. Below I share some of the most interesting passages that I found in Flaubert’s correspondence (Steegmuller, 1980) at the time he was writing his masterpiece: Madame Bovary. Most of these passages come from letters addressed to his friend and lover Louise Colet, with whom Flaubert had a very strange relationship (but that is ‘harina de otro costal‘). Flaubert’s sentences in those letters show the process of writing the best sentences one could write. We usually assume that sentences flow out of talented writers in an effortless way. However, reading Flaubert’s letters we can see how one of the best writers struggles when trying to produce the written perfection. This entry was posted in Academia on May 8, 2016 by Francisco Morales. If we think that diversity can have an impact on organizational outcomes, it would make sense to also look at higher-level outcomes. Ashraf and Galor (2013) do that. They study the effect of genetic diversity on economic development at the country-level. They find that an intermediate level of genetic diversity is associated with ‘the highest’ level of economic development. The results show that there is an ‘inverted-U’ relationship between genetic diversity and economic development: a trade-off exists between the positive and negative effects of diversity on productivity. …the analysis indicates that genetic diversity is negatively associated with the extent of cooperative behavior, as measured by the prevalence of interpersonal trust, and positively associated with innovative activity, as measured by the intensity of scientific knowledge creation. This study has received some attention from news sites. Check one of the author’s website here. Ashraf, Q., & Galor, O. (2013). The’Out of Africa’hypothesis, human genetic diversity, and comparative economic development. The American Economic Review, 103(1), 1. This entry was posted in Research on May 4, 2016 by Francisco Morales. After traveling around Tierra del Fuego, observing the Fuegians and spending time with Jemmy Button‘s tribe, Charles Darwin arrived in Chiloé, the second largest island in Chile. In this region, Darwin explored the main island and the surrounding areas. In his journal, Darwin (1989) describes an interesting situation that took place when he arrived to San Pedro island, located in the southeast side of Chiloé. This little fox (Lycalopex fulvipes; syn. 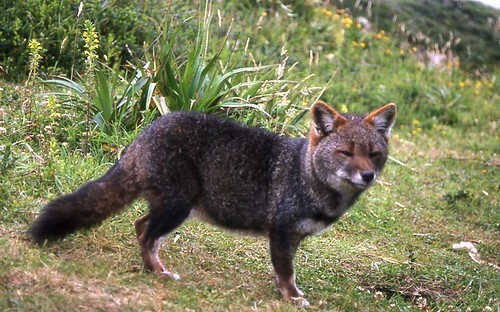 Pseudalopex fulvipes), known as Darwin’s fox and Zorro Chilote (Fox from Chiloé) ‘is perhaps one of the rarest, least known and world’s most threatened canid’ (Jimenez, 2007). Even though Darwin found this ‘more curious or more scientific’ fox in 1834, we have not gained much knowledge about this specie. Some estimate the population of the Darwin’s fox to be close to 500 (in Chiloé) (Yahnke et al., 1996). Recent studies show that the Darwin’s fox does not only live in Chiloé, but also in the coastal area close to Valdivia. The Nahuelbuta National Park (5415 ha.) is a coastal forest that remains the only mainland area in which the fox has been observed. Because of the distance between this Park and Chiloé, some speculate that this mainland population may have come from captive foxes. It seems that there is some agreement regarding the extent to which this fox is in danger . However, it is not clear yet how to protect it. Darwin, C. (1989). Voyage of the Beagle: Charles Darwin’s” Journal of researches”. J. Browne (Ed.). Penguin Books. Jiménez, J. E. (2007). Ecology of a coastal population of the critically endangered Darwin’s fox (Pseudalopex fulvipes) on Chiloé Island, southern Chile. Journal of Zoology, 271(1), 63-77. Yahnke, C. J., et al. (1996). Darwin’s Fox: A Distinct Endangered Species in a Vanishing Habitat. Conservation Biology, 10(2), 366–375. This entry was posted in Chile on May 1, 2016 by Francisco Morales. The Easter Island is a very enigmatic place. If you do a brief research on the Island, you would realize that there are many different views about the history of the island. It has been well established, however, that the construction of the Moais stopped in the late 18th century. Why? I think we do not know. I visited the Island after my first year in the Ph.D. At that time, I already had a journal rejection (or maybe even more than one). Although short, this academic experience led me to observe some of the things you can see in the Island with a surprisingly creative view (maybe too creatively). After riding a bike for a couple of hours (see my post about biking around the Island), I made it to the quarry were the Moais were built. 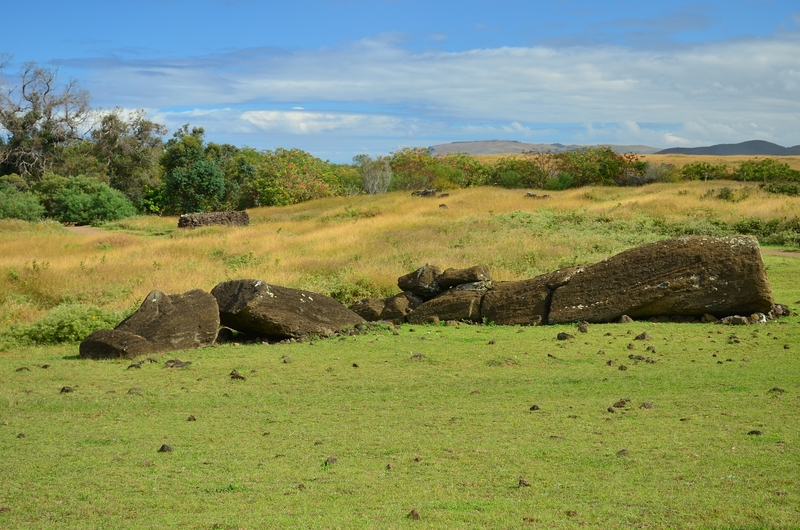 Although you can see many pictures before landing on the Island, it is still really interesting to walk around dozens of Moais lying on the ground in different positions. I walked around the external side of the volcano Rano Raraku and then I walked into the crater. When I was coming back from the crater, I ran into some rats and horses. I had to wait until the horses decided to move from the trail so I could keep going back to the entrance of the Park. Before getting to the entrance, I ran into a special Moai. The Moai was (and it is probably still like that) lying horizontally. However, the interesting part was that the Moai was not a single piece of rock anymore. The statue was broken into several pieces. So, yes, fortunately, as a researcher you do not end up with a broken Moai when a paper is rejected from a journal. And if the Rapa Nui (native Polynesian inhabitants of Easter Island) kept carving Moais, you definitely have to keep trying to get your paper published. If you ever meet me and hear me saying “well, it is not a Moai”, then you will know what just happened. 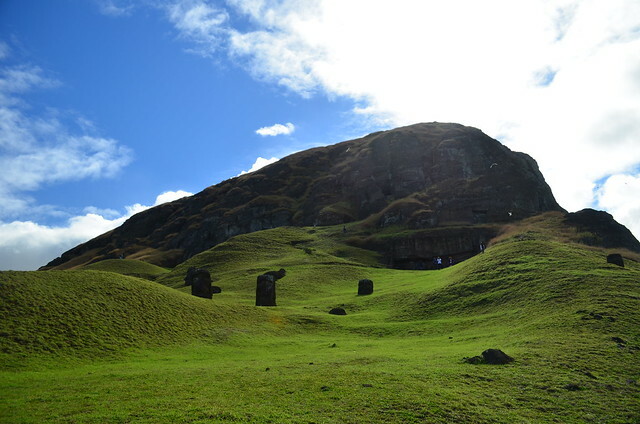 This entry was posted in Academia, How To, Traveling and tagged Easter Island, howto on December 23, 2014 by Francisco Morales. Biking around the Easter Island (Rapa Nui) is a great idea. If you like to ride a bike, it is maybe the second best idea after the one you had when you decided to actually visit Easter Island. I biked around the Island during winter, which seems to be a great season for biking if you are lucky enough not to see rain (I was lucky enough not to see rain at all during 5 days). I have not been to the Island in summer but I think it is probably not such a good idea to bike around the Island during summer (around 30°C and a lot of humidity). In total, I biked around 120 km (75 mi) in 4 days. I was on the road (biking/walking/taking pictures) around 3-5 hours per day depending on the route I chose and the places I visited. 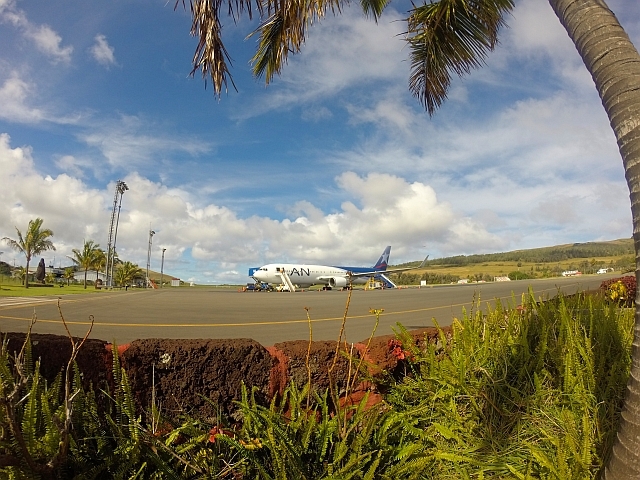 This entry was posted in Traveling and tagged bike, biking, Easter Island, Hanga Roa on July 8, 2014 by Francisco Morales.